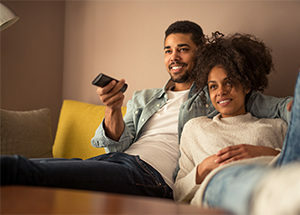 Have you heard of Tubi TV? It’s a completely free app that allows you to stream thousands of movies and TV shows to your iPhone, iPad or Android device. You can watch movies from top studios, such as Paramount, Lionsgate MGM and more. Also, it is legal. You won’t find anything brand new or still in the box office, but you will find recent movies and TV shows. Plus, there isn’t much of a catch. Commercials still exist, much like you encounter on Hulu, but are fewer than on cable TV. You will also find more content on Tubi TV than you can find on Netflix, Hulu or HBO. They even offer a specific “Not on Netflix” section to help you out.